Change and diversity characterize the sectors engaged in biodiscovery and the use of genetic and biological resources. This includes astonishing new developments in science and technology, fluctuating markets, and changes in business and intellectual property models, as well as dramatic diversity in company size, culture, and R&D strategy. 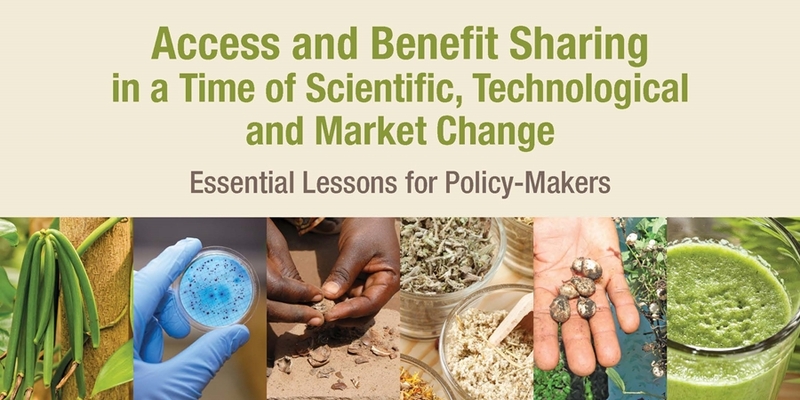 In a new policy brief, Sarah Laird and Rachel Wynberg explore the implications of these developments on the demand for access to genetic resources, benefit sharing and implementation of the Nagoya Protocol on Access to Genetic Resources and the Fair and Equitable Sharing of Benefits Arising from their Utilization. Produced through a collaboration of the University of Cape Town, People and Plants International, and the ABS Capacity Development Initiative, this brief uses infographics, images, and short text to distill essential lessons to guide policy-makers as they develop access and benefit sharing (ABS) measures. To download the brief, click here. Tree-crop commodification - do small-scale farmers in Venda benefit?